Want to learn how to read tarot cards in an intuitive, empowering way, without having to look up stuff in a book? Also want to feel more creative and alive? This class is for you! Join intuitive healer and tarot reader, Moriah Simmons to learn how to read tarot cards to access and enhance your creativity. 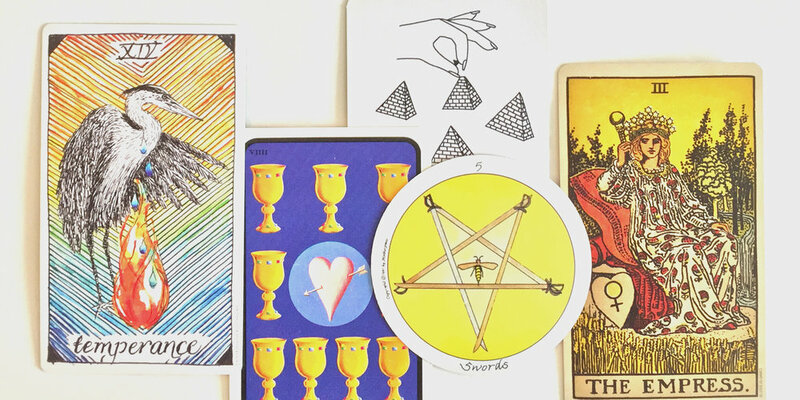 Tarot is an amazing tool to help artists of all types find their own secret passageways past their inner critic and creative blocks, by tapping into their intuition and well of creative energy. Come learn practical tools to connect with your own creative power, using your tarot deck. All types of creators and all levels of tarot experience, including beginners, welcome! Please bring your tarot deck, a notebook, and a pen. If anyone doesn't have a deck yet, I'll have a couple you can borrow for the class.